Wooden based units as well as more cost effective PVC base units are available in three different types. These units serve as the stands in which the flags are placed. 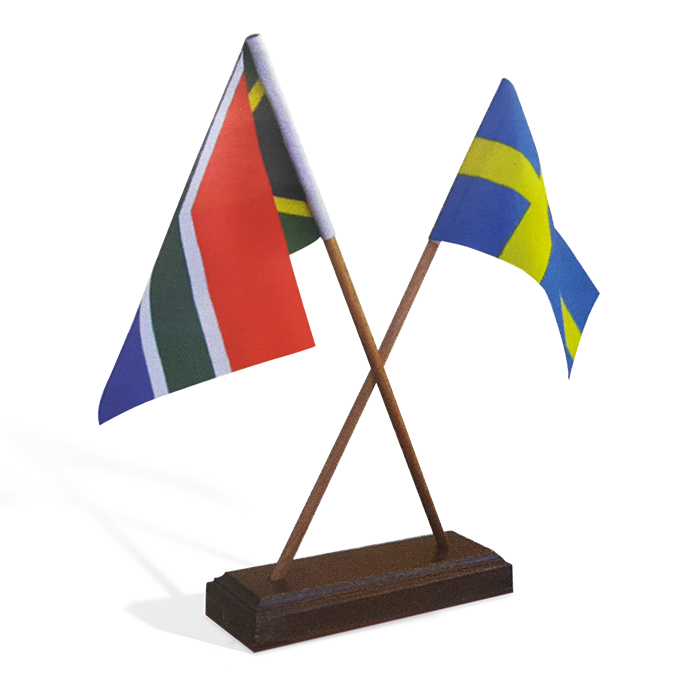 Typical sizes of these flags (nylon or PVC) are 120 x 80mm. The price of these flags depends on the amount that is ordered, as is the case with most of our other products.